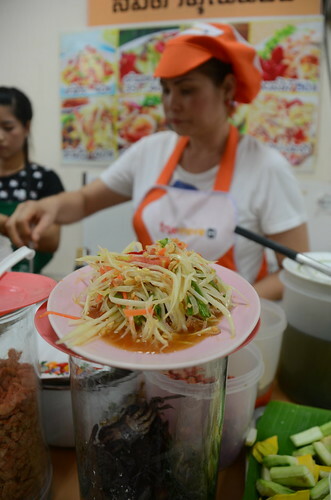 With lots of recommendations from our friends for food and what do to in Chiang Mai, we arrived with quite a list to achieve in five short days. We hired a motorbike to drive around the city, which is easy to navigate because of the river that forms a square around the old town. The traffic is nowhere near as crazy as Vietnam because the Chiangmai people seem to follow the rules and there is less vehicles than what we're used to in Hanoi. We drove most of the time to different markets to eat breakfasts lunches and dinners. 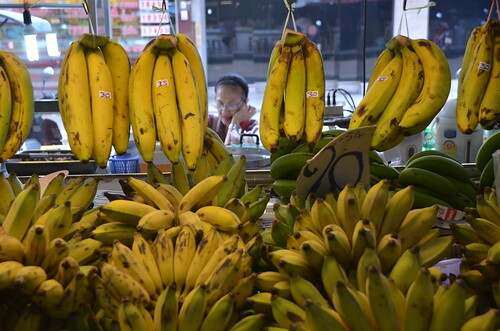 The fresh produce in the markets in Chiang Mai is displayed beautifully and there were enough different vegetables and other things to make it interesting for us. 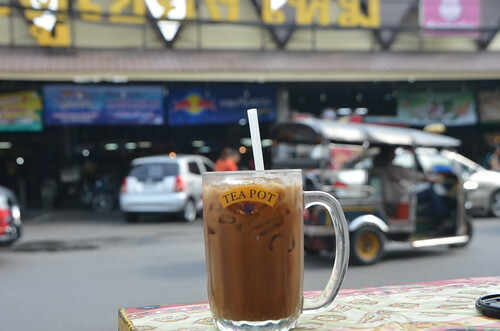 I love the coffee served by an old lady in front of the Chiang Mai Gate Market and also the simple breakfast of toast with a poached egg from the man next door. It was a fantastic spot to watch the local people go in and out of the market. Also a nice spot to take photos. I can't forget a small noodle soup run by two pretty elderly sisters close by to the place we were staying. Strongly recommended by EatingAsia, we went there very early and seemed to be the first customers of the day as we were worried that they would run out before we got there. 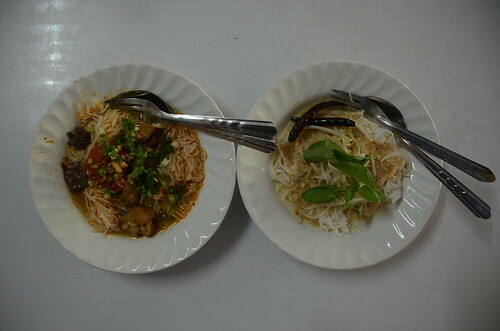 We ordered a sticky rice dish and two types of noodles: one with pork and blood which is similar to Bún Bò Hue and the second noodles with fish. These three dishes were fantastic!!! 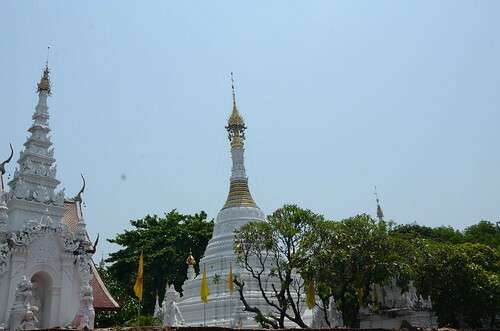 There are so many beautiful wats around Chiang Mai, almost on every corner. Even though they are similar in design, they each have little details in the architecture or statues that made it interesting for us. They are also a good place to have a rest from the heat. As I'm from Hanoi, the heat didn't bother me so much even though it was 41degrees on our first few days there. Fortunately, the humidity is lower, which helps. Luckily we stayed at our friend's apartment on a very high floor with a breeze blowing though. On the last two nights it was cooler after a storm passed through during the night which made the city cooler and clearer in the next days. 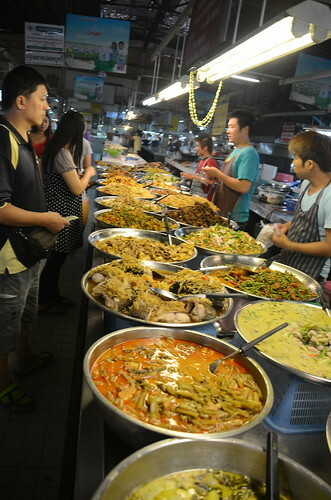 The great thing about the food markets in Chiang Mai is the variety of choices that local sellers offer. I loved noodles that I can add lots of different fresh herbs and vegetables such as mint, basil, shredded cabbage, bean sprouts, pickles and chili. I also can choose different refreshing drinks from fresh coconut juice to flavored syrups topped with crushed ice. We always talk about whether we would go back to a place on the way to airport and we decided that Chiang Mai is definitely worth a return visit.